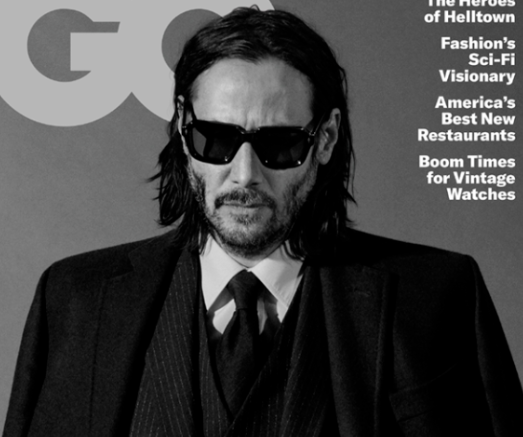 -In Keanu Reeves‘ delicious GQ cover story, he says he was sent “to movie jail” for turning down Speed 2 to play Hamlet in Canada. He also apologized for his time in a band, and mentioned he’s a fan of Toronto-based punks Metz. -Speaking of delicious mag spreads, check out this Vogue feature on Broadway costars Keri Russell and Adam Driver. -Whenever Jennifer Garner has dinner with her former Alias costars, it makes my heart burst. -This is a really good thread about what’s happening between Hollywood agents and the writers guild. -Also, Cardi and Offset seem to be officially back on. -Last night’s Game of Thrones premiere drew 17.4 million viewers. -It looks like Taylor Swift is about to put out new music, judging by her enigmatic social media posts. –Lori Loughlin and husband Mossimo Giannulli pleaded not guilty today in the college admissions bribery scandal. -Yikes. Prince Harry and Meghan Markle received terrifying death and bomb threats in the days leading up to their wedding. -I gave up on The Marvelous Mrs. Maisel after season one, but I might have to rethink that decision now that Sterling K Brown in onboard. -First Get Out, and now Netflix’s upcoming horror The Perfection. Allison Williams is finding her post-Girls niche as a scream queen. -The trailer for the new season of Big Little Lies is here, and I forgot how much I liked that show.